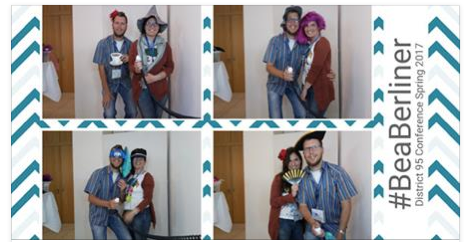 BE A BERLINER - PHOTO BOOTH PICS ARE READY FOR YOU! Get your photos here: http://bit.ly/2sgJP4A Enjoy! 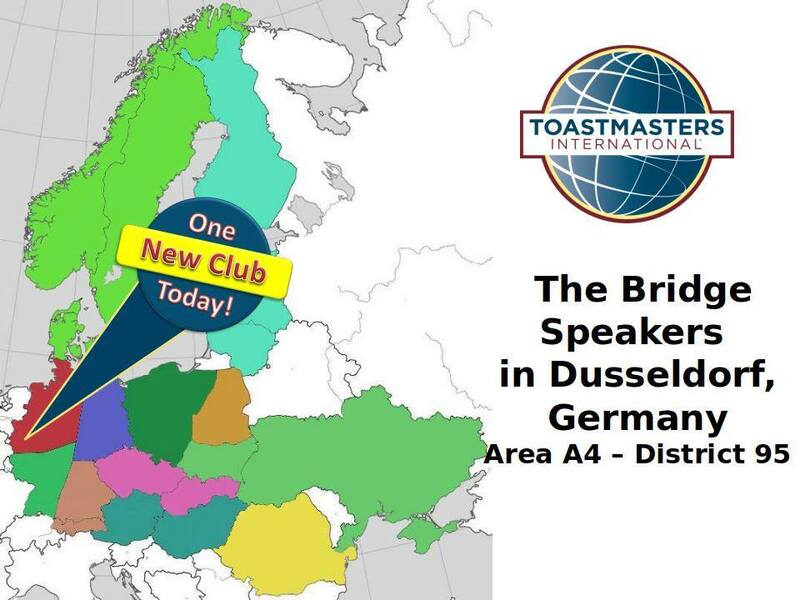 CONGRATULATIONS Ramstein Speakers Association! 60 YEARS! District Spring Conference - Berlin, 2017 UPDATES! BEAT THE CLOCK! BOOST YOUR MEMBERSHIP! Last Day to Register for Conference at the Standard Rate! District Conference! 2 Days Left for Standard Ticket Price! District Conference! 4 Days Left for Standard Ticket Price! PROJECT MEMBERSHIP 2017! Contact David Gelkin for Details! SAVE THE DATE! 22 APRIL 2017! Division A Conference! SAVE THE DATE! 22 APRIL 2017! Division F Conference! INFOGRAPHIC - Education Awards - Our Progress So Far! Welcome New Club! Toastmasters Zilina! Welcome New Club! Toastmasters Speakers Zone! Wecome New Club! The Budapest Business Branch Toastmasters! Welcome our Newest Club - Levice Toastmasters! Congrats! 5 Secrets to be an AWESOME CLUB COACH - Webinar on 14 March! District Instagram Account Reaches 3000 Followers! Club Creation Webinar #2 - Video and Slides Available! REMINDER! NEW CLUB CREATION TRAINING!! European Reformation Approved - What's Next?